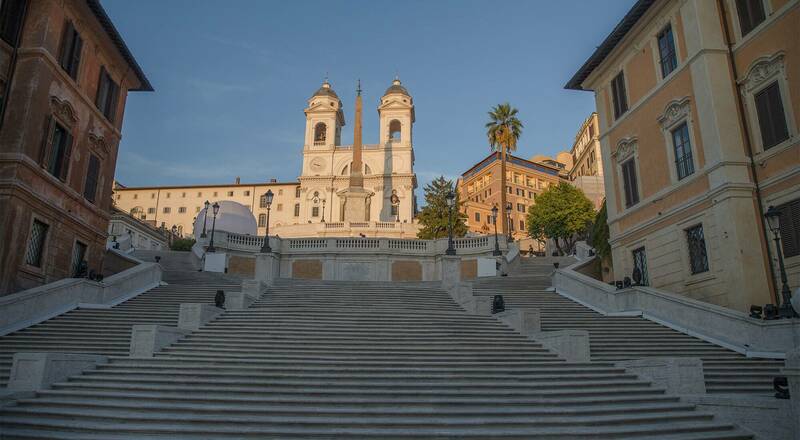 Bulgari today unveiled the newly restored Spanish Steps, one of Rome’s most iconic monuments, after two years of work. The storied Roman jeweler is proud to contribute to the preservation of Roman heritage. On Friday, September 23rd, Romans were once again delighted to walk up the monumental Spanish Steps, a symbol of Rome’s cultural and architectural heritage. Following a restoration project financed by Bulgari that began in October 2015, the 138 steps have been returned to their gleaming splendor. 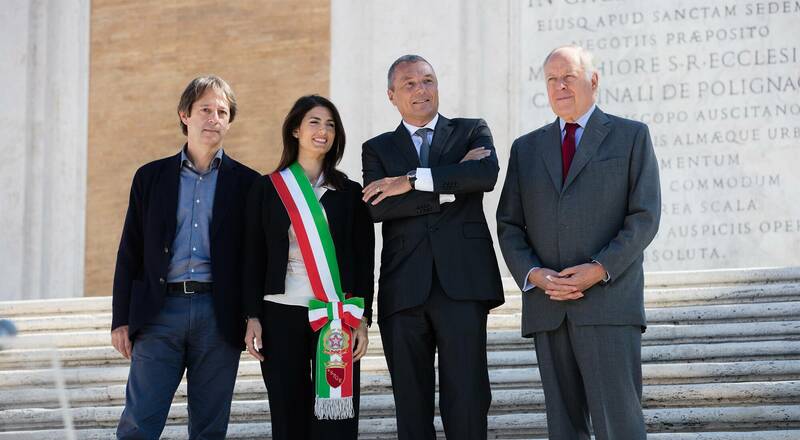 The inauguration took place on Thursday, attended by Rome mayor Virginia Raggi and Jean-Christophe Babin, CEO of Bulgari. To mark the 130th anniversary of the House in 2014, Bulgari donated 1.5 million euros to the city of Rome to finance the project. “Today we are delighted to celebrate with the city the return of a monument whose splendor represents the grandeur of Rome,” said Jean-Christophe Babin. The Spanish Steps have special historic resonance for Bulgari as the connection between Via Sistina, where Roman jeweler Sotirio Bulgari opened his first shop in 1884, and Via dei Condotti, now home to its flagship store. To celebrate the event, Bulgari organized an inaugural evening Piazza di Spagna, inviting 30 Roman citizens whose names were drawn at random from a list provided by the municipality. Also attending were ten prisoners who volunteered to work on the renovation project without pay as part of a rehabilitation program organized by the city of Rome and supported by Bulgari. Bulgari is deeply attached to Rome and its heritage and has plans for future projects designed to help preserve the city’s unique beauty.